Police Spokesman Ajith Rohana said today a Court Order was obtained from the Colombo Magistrate’s Court to check all accounts held by Colombo District United People’s Freedom Alliance (UPFA) MP Duminda Silva at several banks and financial institutions. The Court Order was based on a statement made by narcotics kingpin ‘Wele Suda’ and included the checking of accounts held by two others as well. “The accounts belonging to Duminda Silva, Wele Suda and his wife held at 82 banks and financial institutions will be probed. During interrogations by the CID, Wele Suda revealed that he doled out money obtained from drug trafficking to Mr. Silva,” SSP Rohana told a news conference today. He said Wele Suda is reported to have gone under two other names and as such the police would also check whether accounts were maintained under these two names as well. The SSP said the Central Bank’s Financial Investigation Unit would assist the police in investigating the suspects’ foreign accounts especially those in Pakistan and Dubai. He said since 2012 Wela Suda was believed to have smuggled into the country about a 1,000 kilos of heroin worth some eight to 10 million rupees a kilo. “The fate which had befallen this massive amount of money obtained from drug trafficking was uncertain. Wele Suda revealed that he paid money to Mr. Silva so as to continue his smuggling unhampered. 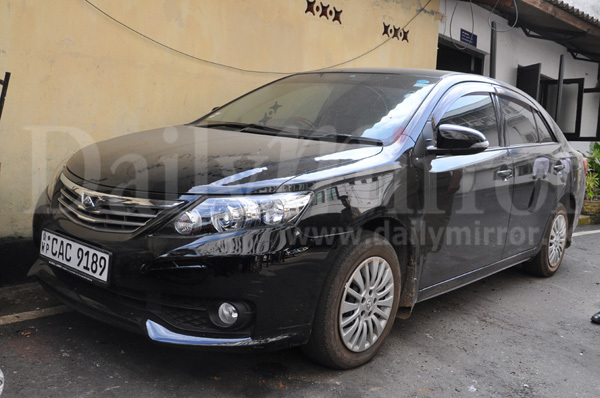 He also alleged that Lalitha Kaushaluya, who was killed in Athurugiriya had paid money to the MP. 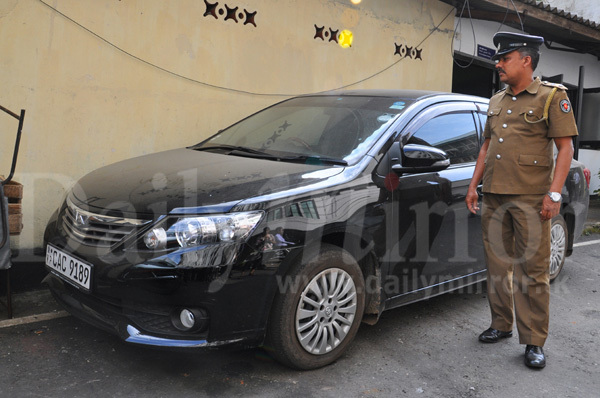 The police found an Allion Toyota Car near a house at Madiwela bought by Wele Suda from drug trafficking,” SSP Rohana said. You helped the poor people of Kolonnawa with your money. Hope you will be able to prove to the world that you are clean man and come to serve us once again. May the triple gem bless you sir!!! If he has confessed please arrest Mas Gobaya with immediate effect. He will say, "I have no knowledge of anything... Because I have brain damage!" According to my knowledge this fellow is trapped badly by the Police. Thanks a lot to our IGP. MP Duminda Silva answers - "Kauda wele-suda kiyanne? Mata mukuth mathaka nehe". Bold and correct step towards cleaning the society of shameless, corrupt leaches! We need to bring to book white collar criminal such as stock market fraudsters, corporate raiders, casino kings ect. A long,long way ahead! With so much of money and asserts surely there would be a high buying power for our leading lawyers to appear for the culprit. Also need to probe if this fellow really underwent any brain surgery in Singapore Duminda is a drug lord of Sri Lanka as well as a class one murderer. Politicians fooling citizens, how many of these politicians had complied to the following requirement?In terms of the provisions of the Declaration of Assets and Liabilities Law No.1 of 1975 Public Officers, Judges, Members of Parliament, Directors of Public Corporations etc are compelled to make periodic declarations of their assets and liabilities in and outside Sri Lanka.Provisions have been introduced to penalize the public officers for non compliance.